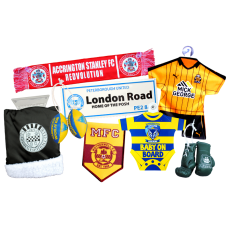 Drinkware, Greetings Cards and Wrapping Paper, Misc. Gifts. 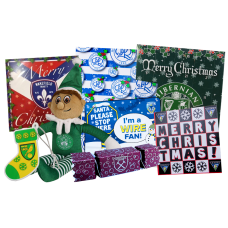 Bespoke Christmas jumper, Santa please stop sign, 3 pack gift wrap, Gift bag, Tree decorations 3 pack (soft pvc), 3 pack tree crackers containing choc footballs, Sh'elfy, Reindeer soft toy, Giant reindeer, Santa hat basic, Stocking basic, Santa hat full colour luxury, Stocking full colour luxury, Presents sack, 10 pack christmas cards, Large christmas cards Call now for more info and best prices! 01782 618115.. The possibilities are endless! 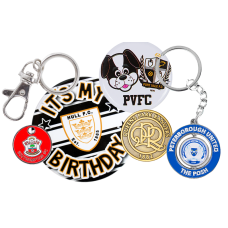 But some of our most popular items include; metal badges, metal keyrings, button badges, pvc keyrings, 3D mascot keyrings,double sided kit keyrings,spinning ball keyrings, leather keyrings,bottle opener keyrings, bespoke shape torch keyrings,antique keyring, trolley token keyring, badge & keyring box set. Call now for more info and best prices! 01782 618115.. 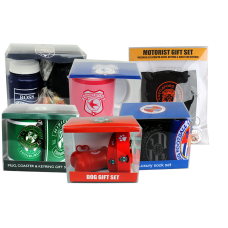 Mothers Day, Fathers Day, Mug sets, Scarf sets,Sock sets, Motorist set, Bar set, Keyring sets etc.All presented in bespoke packaging. Call now for more info and best prices! 01782 618115.. 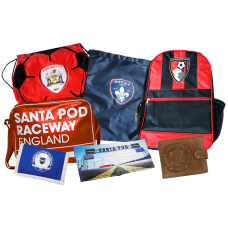 Shoppers, Drawstring, Document Bag, Backpacks, Holdalls, Bootbags, Retro bags, Laptop Bags, Cooler Bags and Wallets. Call now for more info and best prices! 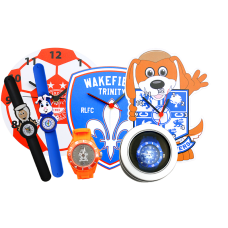 01782 618115..
Wall clocks, shaped wooden clocks, rubber sports watches, executive metal watches, kids mascot watches, snapband watches. Call now for more info and best prices! 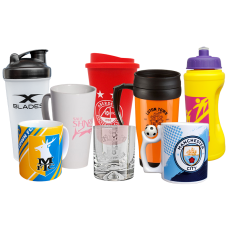 01782 618115..
Full colour mugs, Latte mugs, China mugs, Sports bottles, Travel mugs, Protein shakers,Full range of Glassware. Call now for more info and best prices! 01782 618115.. 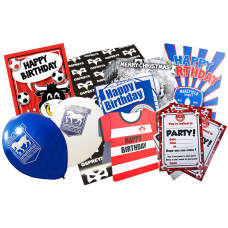 Giant greetings cards, Standard greetings cards, Shirt shaped greeting cards, 10 pack party invites and envelopes, Gift bags, 3 pack gift wrap, 10 pack balloons. Call now for more info and best prices! 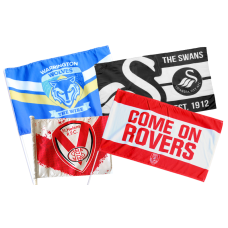 01782 618115..
Stock Flags (Small & Medium), Stock Car Flags, Stock 5x3 Mega Flag Bespoke Mega Flag, Bespoke Car Flag, Bespoke Car Flags (S,M, L) Call now for more info and best prices! 01782 618115.. 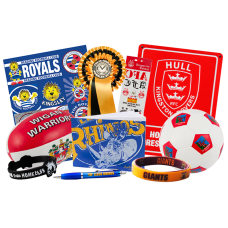 Car Dashboard No Slip Mat, Metal Car Decal (Crest Or Slogan) Self Adhesive, Number Plate Sticker Set, Car Scarf, Car Stickers; Giant Mono, Long 12 X 14 Approx, Small Crest 4 X 4 Approx.Mini Kit Hanger (Fabric), Car Gift Set (Ice Scraper Mitten, Large Car Sticker, Keyring), Ice Scraper Mitten, Car Pennant, Kit Shaped Car Pennant, Babygrow Shaped Baby On Board Sign, Round Or Diamond Baby On Board/Fan sign, Bespoke Shape Car Ha.. 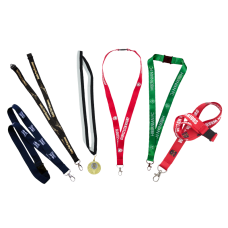 Printed Lanyards, Full Colour Sublimated Lanyards, Lanyards With Metal Badges, Lanyards With Engraved Buckles, Lanyard Medals. Call now for more info and best prices! 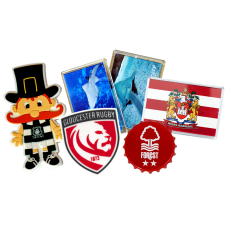 01782 618115..
2D PVC Magnets (Any Shape), Acrylic Jumbo Magnet. Call now for more info and best prices! 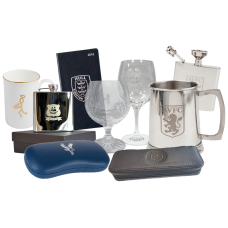 01782 618115..
Steel Hip Flask Set, Steel Tankard, Crystal Glasses; Brandy, Whiskey, Champagne, Gin. Large Tankard. Diary, Metal Engraved Coaster Set, China Beaker With Real Gold Print Gilded Top, Traditional Blazer Badge In Presentation Box, Boxed Antique Keyring, Cufflinks Set In Velvet Gift Box, Diamante Broach In Velvet Gift Box, Glasses Case. Call now for more info and best prices! 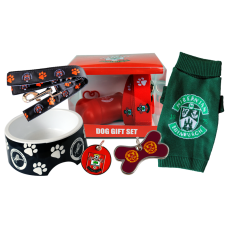 01782 618115..
Dog Collar And Lead, Pet Tags, Pet Poop Bag Dispenser, Dog Bowl, Doggie Jumper, Dog Gift Set.Call now for more info and best prices! 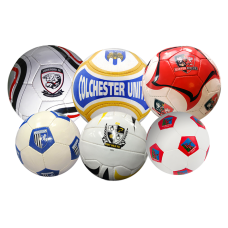 01782 618115..
Soft Mini Balls, Size 5 Football, Size 5 Football. Call now for more info and best prices! 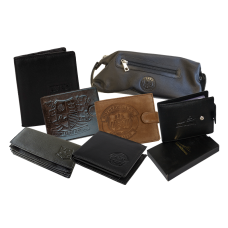 01782 618115..
(All Items In Branded Gift Box) Nappa Leather Wallet, Hunter Leather Wallet, Ladies Nappa Leather Purse, Nappa Leather Credit Card Holder, Nappa Leather Passport Holder, Nappa Leather Washbag, Hunter Wallet Overnight Bag, Leather Glasses case. Call now for more info and best prices! 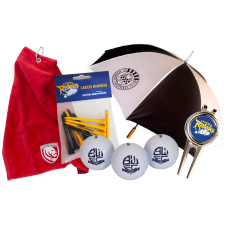 01782 618115..
3 Pack Golf Balls, 10 Pack Golf Tees,Golf Scorecard Holder, Golf Towels, Golf Umbrella Call now for more info and best prices! 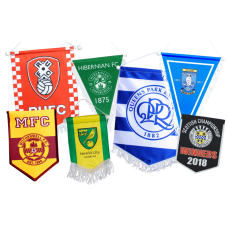 01782 618115..
Large, Medium and Small Pennants, Luxury Embroidered Pennants. Call now for more info and best prices! 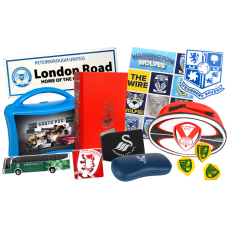 01782 618115..
Dart Flights, Balloons, Season Ticket Wallet, Mini Umbrella, Ice Scraper Mitten, PVC Gift Set, Snap Band Watch, Football Lunch Bags, Light Switch Cover Sticker, Glasses Case, Phone Covers, A4 Sticker Set, Sweatbands, Bespoke Ripper Wallet, Model Truck, Model Coach, Foam Set Cushion, Tape Measure, Metal Street Sign, Foam Hands, Sandwich Box, Programme Binder, Coasters, Beer Mats, Luxury Oven Gloves,&nbs..
Hand clappers small/large, Sunglasses, Bang-bang sticks (2 pack), Beach balls, Frisbee, Jester hats, Top hats, Wigs, Hooters, Rosettes (traditional 3 tier), Rosettes (button badge centre), Tattoo sets, Snap band watch, Childrens pocket money pack (a5 sticker set, wristband, fluffy mascot bug, pen, pencil), A4 sticker set, Football/rugby ball stress ball, Fluffy bugs (standard), Fluffy mascot bugs, Mini ..